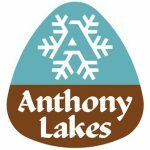 Anthony Lakes Mountain Resort, LLC., a 501c3 nonprofit organization, (ALMR) will manage both the Union Creek (Phillips Reservoir) and Anthony Lake Campground Complexes this summer. ALMR is looking for 6 camp hosts (or 3 couples) to join our team for the summer months. If interested, please read below on description and functions. Camp hosts must have a passion for the outdoors, be customer service oriented and have a presentable and clean RV or trailer in which to reside comfortably in throughout the camping season. Hosts must be available from mid-May through Labor Day, some shorter season positions are also available. Main Functions: Customer service is a priority! Here at Anthony Lakes, we strive to make sure everyone is enjoying the Forest. Camp hosts are expected to greet visitors, fill out camper receipts, sell firewood and help to keep the campgrounds tidy and litter free! Hosts will spend the late afternoon and nights in the host camp spot, to be available to campers. Hosts are mostly free during the day to go out exploring, fishing, or sit back and enjoy a book. If the idea of working with the crew at Anthony Lakes Mountain Resort and helping people in the outdoors sounds appealing to you, please fill out the application and questionnaire. The application will ask which facility you prefer to host for. ANTHONY LAKES OPERATES IN PARTNERSHIP WITH THE WALLOWA-WHITMAN NATIONAL FOREST UNDER A SPECIAL USE PERMIT AND IS AN EQUAL OPPORTUNITY PROVIDER. Anthony Lakes Mountain Resort, LLC.